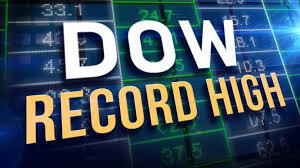 Today the DOW closed at 26,656 for a new all-time high. The previous record was set in January 2018 at 26,616. Simply amazing! Yesterday the DOW reaches its 100th all time high since candidate Trump was elected President. The DOW is up almost 8800 points since Trump was elected. 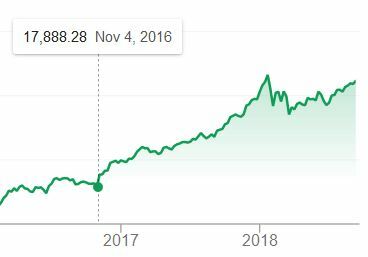 You might want to remember this bit of good news and what it has done for the economy and your 401k’s before you cast a vote in this November’s midterm elections. 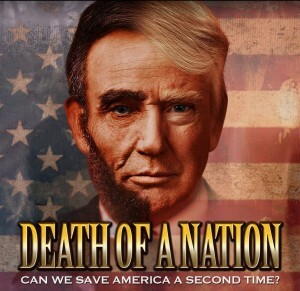 Its up to the American people if you want Anti-Trump, Resistance Democrats to control the power in the House of Representatives and Senate and watch all these economic gains come crashing down. Currently the DOW is up again today. The Dow Jones Industrial Average closed at a record high on Thursday, its 100th record close since Election Day 2016. The stock market index has been propelled higher by economic optimism and tax reform, which have boosted companies’ earnings. The S&P 500 closed at a record for the 89th time Thursday since the election, and numerous S&P 500 component stocks set records. Shares of companies in various sectors of the economy set records on Thursday, evidence that the strong economy is benefiting many industries. Remember when Donald Trump was elected on 11/4/2016 the DOW was 17,888 and down some 700 points. All of the LEFT know-nothings, Never-Trumpers and Left-wing media pundits said Trump would crash the economy and the stock markets. The same know-nothings and Leftist hacks said Trump’s tariffs would crash the economy and stock markets. They could never have been more wrong. UPDATE I: Dow set for best week since July as stocks push deeper into record territory. U.S. stocks rose in early trading on Friday, with Wall Street extending its recent uptrend and pushing further into record territory. The Dow Jones Industrial Average DJIA, +0.15% rose 81 points, or 0.3%, to 26,738, hitting an all-time intraday high in early trading. The S&P 500 SPX, +0.15% gained 8 points to 2,939, a rise of 0.3% that took it to new records of its own. The Nasdaq Composite Index COMP, -0.11% which remains about 1% below record levels, rose 21 points, or 0.3%, to 8,049.25. What if the below statements are really true? What if Trump actually winds up doing more for blacks as president than anyone else? Actions speak louder than words. As President Donald Trump is flanked to his left by Coretta Scott King, the niece of Martin Luther King Jr., Pastor Darrell Scott states that President Trump “was the most pro-black president that we’ve had in our lifetime.” Scott went on to say it was Trump, not Obama who has been pro-active in the African-American community, with prison reform and urban revitalization. Pastor Scott then stated, “The last president didn’t feel like he had to. He feels like he didn’t have to. He got a pass.” WOW!!! This is why the LEFT and the liberal MSM are going after TRUMP with 90-93 percent negative news coverage. Trump is a treat to them and their power base. 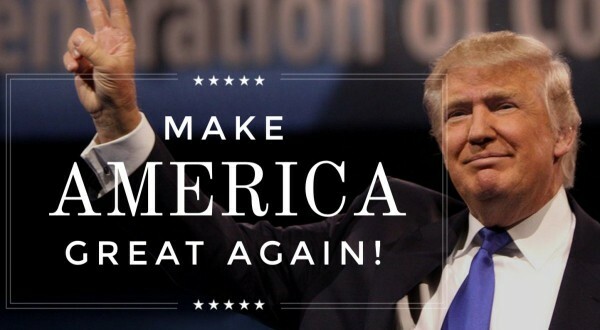 Candidate Trump asked minorities to give him a chance during the 2016 presidential campaign. Trump asked, what did you have to lose? Take a look at the amazing results. DARRELL SCOTT, FOUNDER & PASTOR, NEW SPIRIT RIVAL CHURCH: To be honest, this is probably going to be — and I’m going to say this as the most pro-black president that we’ve had in our lifetime. Because and I try to, you know, analyze the people that I encounter. This president actually wants to prove something to our community. Our faith based community and our ethnic community. The last president didn’t feel like he had to. He feels like he didn’t have to. He got a pass. This president, this administration is probably going to be more proactive. We got urban revitalization and prison reform than any president in your lifetime. When Donald Trump said he would make America great again, he meant everyone. And that is exactly what is going on in the United States today. It is whites, blacks, Hispanics and Asians that are all seeing record low unemployment. Above, Pastor Scott made a very important statement which I believe is very true. The pastor stated, “The last president [Barack Obama] didn’t feel like he had to. He feels like he didn’t have to. He got a pass.” Of course Pastor Scott and anyone who dare support Trump from the black community will be called every racist name in the book and demonized. But the truth is, Obama was provided a pass, by everyone including the media. Trump has a lot to prove, and he is. Don’t listen to the bias MSM and their agenda driven coverage of Trump, look at the results. 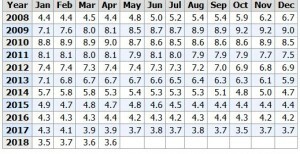 US Economy: Unemployment Rate Falls to 3.9% … Black & Hispanic Unemployment Hit Record Lows!!! 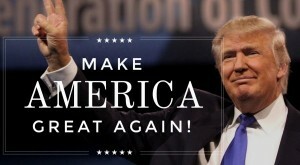 Yes, President Donald Trump is making America great again and in some cases making it greater than ever before. The Unemployment rate for April 2018 has fallen to 3.9%. This is a 17 and a half year low for the U.S. unemployment rate. 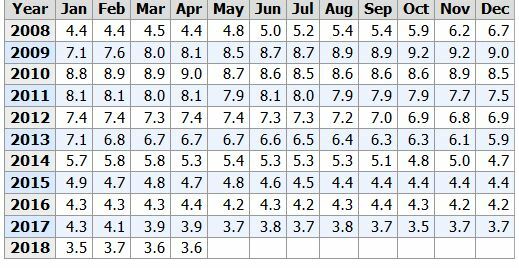 The news was even better for minorities as the unemployment rate for black workers dropped to a record low 6.6%, beating the previous record low of 6.8% set in December. The jobless rate for Hispanics fell to 4.8%, tying the record reached last year and in 2006. This is tremendous news for America and troublesome for Democrats, the LEFT and the liberal MSM. Even as under the Trump administration minorities are making considerable gains in the work force, the miserable LEFT and MSM still manages to find the negative. Hmm, where were these people during the 8 yeas of Obama when blacks had double digit unemployment? U.S. job growth increased less than expected in April and the unemployment rate dropped to near a 17-1/2-year low of 3.9 percent as some out-of-work Americans left the labor force. Nonfarm payrolls increased by 164,000 jobs last month, the Labor Department reported. 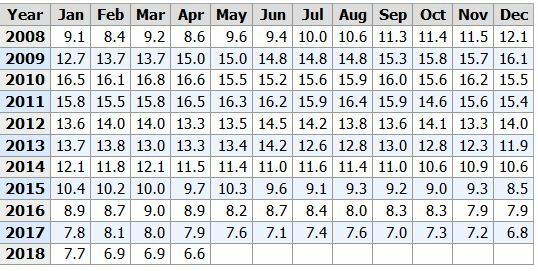 Data for March was revised to show the economy adding 135,000 jobs instead of the previously reported 103,000. 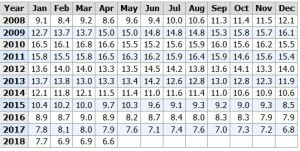 That was the fewest amount of jobs created in six months and followed an outsized gain of 324,000 in February. Where was the LEFT and MSM calling out Obama during his 8 years for the difference between black and white unemployment? Instead, the miserable LEFT and MSM continue to be all things negative to Trump and put Obama op on high. Really, the numbers show that there is less of a disparage between blacks and whites under Trump. Both black and white unemployment has gone down about 0.6% since the November 2016 elections,; however, the difference is that these are historic lows for blacks. The majority of time during Obama, blacks witnessed double digit unemployment as there were a record number of individuals on food stamps. The fact of the matter is that if Trump was president in 2008-2016, blacks would have seen the benefits they see now, just that much sooner. The LEFT and Democrats are freaking out that minorities are seeing record low unemployment and might just vote as the silent black and Hispanic voter with Trump and the GOP in 2018 and 2020.